A great view thanks to ÖLFLEX® Abu Dhabi, the capital of the UAE, is enjoying its new skyline. Leading British architect Sir Norman Foster (Foster + Partners) was commissioned by project developer Aldar Properties PJSC to design the so-called Central Market – the new centre at the heart of the old city. The most striking eye catchers in the city's new image are the two skyscrapers Domain Tower (381 m) and Trust Tower (278 m). 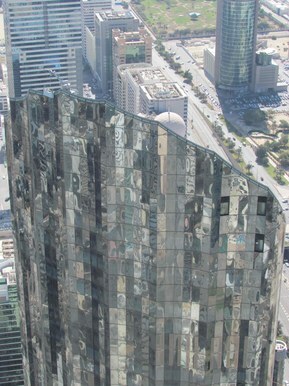 Trust Tower features two innovative facade access systems provided by Manntech that ensure a crystal-clear view over the Persian Gulf. The connection and control cables for these systems come from Lapp. Standard project? No way! The unconventional design of the building meant that Manntech had to develop a completely new facade access system. The facade of Trust Tower serpentines its way up the building. This means that the carriage is always moving at an incline. 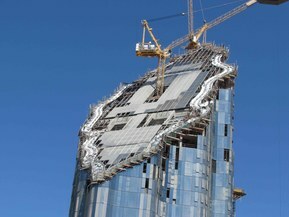 The partially glazed roof is also angled at 51 degrees, with the building resembling a raised index finger with fingernail. 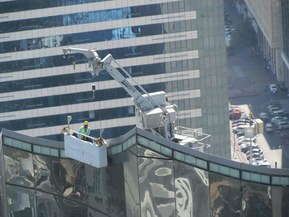 Another difficulty was that the cranes from which the facade access system are suspended had to be hidden from vision on the investors' express request. Why? The summit of the tower houses luxury apartments with a pool. Residents did not want their view of the sea to be spoiled. The designers at Manntech developed two parallel facade access systems on rails for the left and right side of the facade respectively. Outside of the cleaning and maintenance times, the two systems are hidden away in a kind of garage in the "fingertip" of the skyscraper. When needed, they are moved out on rails. The carriages are then rotated hydraulically and moved via another rail to the edge of the facade. Here they are rotated again and positioned on the serpentine 150-metre-long rail track. They are then ready for work. The crane turns, the boom is raised and lowered, and a rotating head is used to move the gondola precisely along the facade. 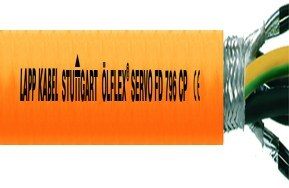 The power supply cable for the electrically driven rail cranes, along with the signal cable routing, come in the form of flame-retardant and halogen-free ÖLFLEX® CLASSIC 130 H power and control cables. Manntech installed a total of nine motors, featuring the flame-retardant and halogen-free ÖLFLEX® SERVO FD 796 CP motor cable. The ÖLFLEX® CLASSIC 400 P and the shielded version ÖLFLEX® CLASSIC 400 CP are also used encoder and motor cables, as well as for connecting simple position switches and as multi-core cables for controlling the crane head. The sensors used to determine the travel paths, the direction and the position of the gondola are connected using highly flexible UNITRONIC® FD CP plus data network cables. At these kinds of dizzying heights, everything needs to work reliably. That is why Manntech has turned exclusively to Lapp branded products for cable and connection technology for over 10 years. Quality pays off. Manntech knows this and is already looking forward to the next major commission: a facade access system for the second-tallest building in the world, the Shanghai Tower. All 632 metres of it. Manntech is based in the Bavarian town of Mammendorf. It employs 200 people and is one of the world's leading manufacturers of facade access systems. Manntech emerged from the Mannesmann group, and has been independent since 1999.